At the Homeschool Buyers Co-op you’ll find great deals on award-winning homeschool curriculum and supplements, access to free resources, music products, and much more! Save up to 93%! Save 40% on a Lifetime Membership to HomeSchoolPiano for one parent and up to five students. This is perfect for Grades K-12. The HomeSchoolPiano video and PDF lessons can teach your students how to become fully expressive piano players who are as comfortable creating music as they are reading music. It’s great for absolute beginners at the piano. The program takes most students 18-36 months to complete. There are 18 units are broken into 6-steps which you can download or review as often as you like! Save up to 62% on Sara Jordan Publishing’s Bilingual Kids Series. It’s a foreign language audio program for English-Spanish, English-French, and Mandarin for PreK-5. Sara Jordan Publishing is best known for over 60 multi-lingual educational audio programs and resource books that teach foreign languages, math, phonics, health, and, social studies through songs. Their bilingual and foreign language instruction materials comply with the five major organizing principles of the “Standards for Foreign Language Learning” by covering the areas of communication, cultures, connections, comparisons, and communities. 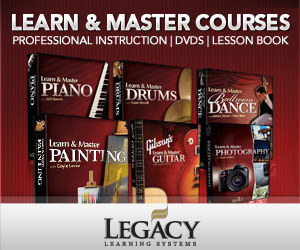 Save 35% on Simply Music’s Learn-at-Home Online Program for piano students ages 7 and up. 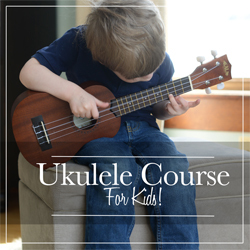 The Learn-at-Home series is intended to be a starting point for the beginning student. It is also designed for students with prior experience who wish to use it as a development program to broaden their repertoire and expand their foundation of learning. The Learn-at-Home Online Program does not introduce music reading. However, it does give students a ‘head-start.’ According to the company, students are typically playing, within a few months, music that traditional students would not usually be playing after two or three years of lessons. Your subscription gives you access to a smorgasbord of instrument lessons (Piano, Guitar, Violin, Bass Guitar, & Singing!) and other content conveniently at home. Designed for the entire family to use, ONE eMedia Music Academy subscription gives you access to eMedia’s award-winning music lesson software with 1000+ award-winning, step-by-step, interactive music lessons! This classic 12-CD collection is available at deep discounts. Maestro Classics produces Stories in Music, a classical music series for children ages 5 to 12 and their parents. Entertaining and educational, these audios have won over 45 national awards. Listen to Tchaikovsky, Handel, Saint-Saens, and more! Get a one-year Family Membership at a deep discount. The Music Learning Community membership gives students access to literally hundreds of colorful, interactive music games – from beginning through intermediate levels – that speed them on their way to becoming Lifetime Musicians. Their goal is to help students master the music reading and aural skills they need to achieve satisfaction and success in increasing levels of music performance and creativity. Head over to Homeschool Buyers Co-op to see these music products, along with others!